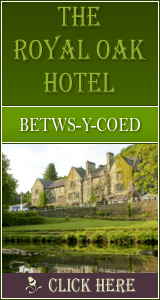 Llanwddyn: Accommodation, Attractions, Activities, Going Out, Shopping, Things to Do, Places of Interest, Outdoors, Llanberis Holidays, Llanberis Area Location, North Wales. Llanwddyn is located in the north county of Powys in Mid Wales, it is found south of Bala and north west of the town of Welshpool. The small village has been submerged under water after a huge man made lake was built. The Nature Reserve and area around the lake are protected by the Royal Society for the Protection of Birds, and Severn Trent Water. The area is popular for days out, and also for ornithologists, cyclists and hikers.